I now move over from France to Slovakia and the second book from there I have reviewed. 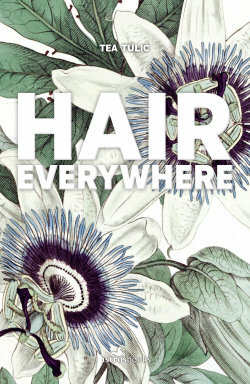 Also, the first to be published by Istros press from there as they move a little further afield. They have chosen a writer considered the greatest living Slovak writer. He only wrote two books whilst communism was in control of the country. but since the regime change, he has written over a dozen books. This was his latest Novel to come out in Slovakian. He is also a leading translator of books from English into Slovak including great writers like Faulkner, Conrad, and Woolf. It is great to see more Slovakian fiction coming out. 1.B If, as the saying goes, every person is unique, their name ought to be unique too. Except that it doesn’t work like that. What is unique about say, Stefan Kovac, whose name is about as common as Stephen Smith is in english? In this country, no first name can ever be truly unique – the church and the clerks at the register office have seen to that – and if your surname happened to be Kovac the to boot, you’ve had it: you’ll end up being known as Kovac up the valley, or Kovac the shepherd. Slovak is a garrulous language, we don’t mind throwngin an extra word here and there, but even with additional piece of information, does a name convey anythingunique about a person? the second part of the first story about how come the name is but also how they use extra wrds to identify a stefan Kovac who is ours ? 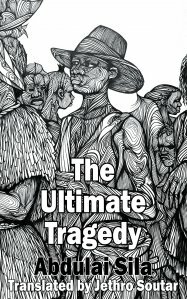 This is a book that has five interweaving stories at its heart. This is a fragmented book almost like a snowflake with the five points coming out. The first story is the tale of a man at the end of a long marriage that seems to be losing his mind early on we hear he is called Stefan Kovac but has now taken the name Cimborazka and is a self-declared Cimborazka. The second story tells us about a pair of step twins and talks about the soul. The third starts with an avalanche and the fourth story strand a scholar called Stefan, that has recently had a book about North American Indian languages in the US. This fourth links to the first story and where we have a talk about certain US place names that may have Native American origins. The fifth strand finds someone looking through old photos. The strands of the stories cross and the link they are about life, language particular Slovakian and old age. The loss of memory in old age. 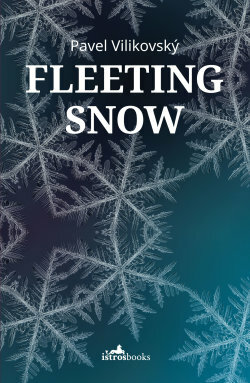 The snow is the metaphor in a way for so much in this book memories fade like snow old age leads to dementia which is like an avalanche that clears that top layer of one’s memories leaving what was under. There is a sense of the fleeting nature of life art tines and what makes us as people who is Stefan Kovac a name we are told early on is as common in Slovakia as Stephen Smith is here. 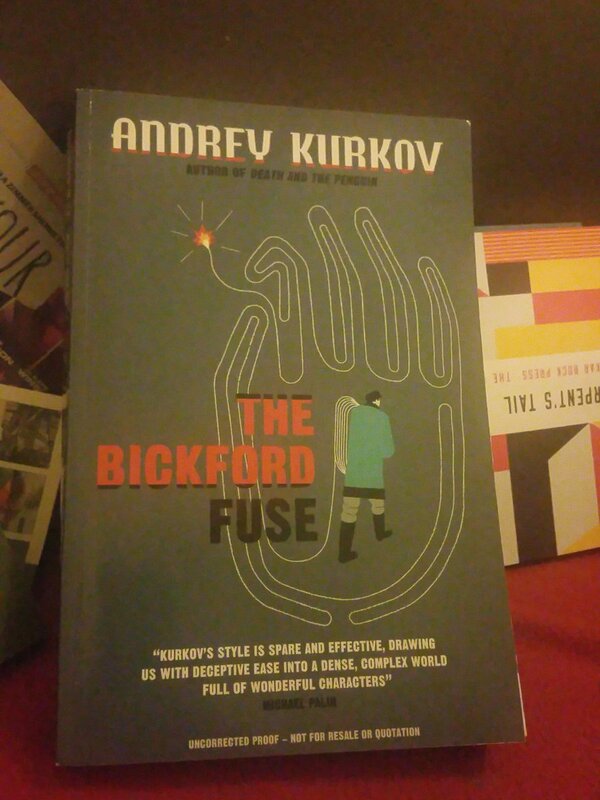 What is a name like the first quote another on identity as Kovacs becomes Cimborazka or does he . 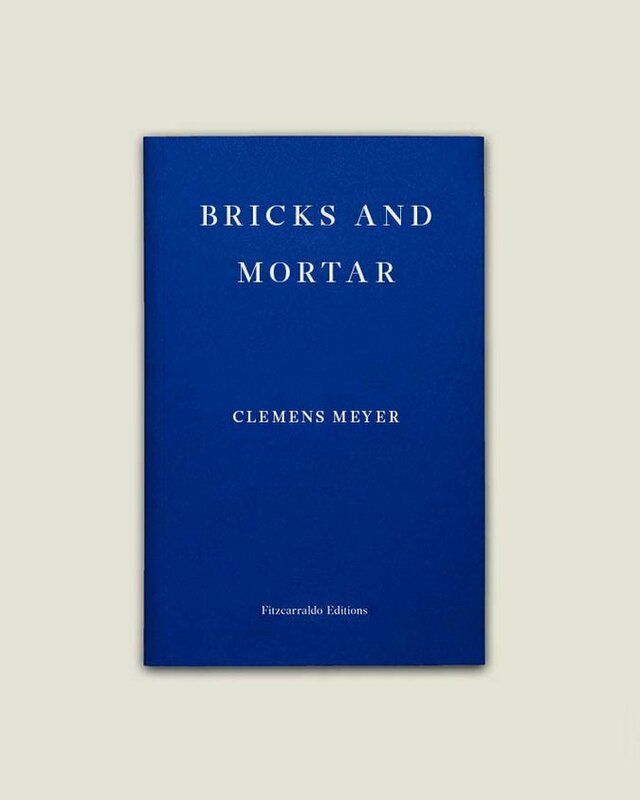 This is a meandering book about the nature of life in a way questioned in many ways. Language and how it is used the short passages that make this book up reminded me of the little snippets in books like The book of Disquiet or Zibaldone thou this has more narrative and a central figure that of Stefan Kovac is he the same person, or a step twin or just another character. As in the end all the strands end in one final passage as a couple talk about how many words are in Slovakian and then as they wander on to find a disk on the ground showing distance to place and maybe placing them back in their world with a thrown word over the fact that Vienna is only 57 kilometers away. This is a writer in his old age trying to write a series of themes that must have been important to him in his life like Slovakian for a translator which is a language he mentions for how many more words there are in it. What we are what he has written about what lies after the writer’s life is gone or like the snow what remains when it has melted just the memory of it. Well I reviewed less than other years this year so I am only going pick a few highlights of my year this year. At Last is probably the Slovenian writer with the longest career since the late 1960s Evald Flisar has been writing books and plays.He has also written many travelogues and studied comparative literature and lit theory in Slovenia then afterwards studied in london English language and literature. This is the second book by Flisar that Istros has published but the first I have reviewed and the last in the partnership with Peter Owen in the world series on Slovenia. As for Vladimir, we had to understand that he had a very young, flighty wife, who was sometimes too much even for a hero in possession of ten partisan medals for bravery. Peter’s notes on meteors and so on were, of course, a matter for discussion between him and the professor under whose supervision he should long ago have finished his degree in cosmology. Certainly, the earth would not crumble into dust merely because a naughty girl wanted to frighten her nearest and dearest. Vladamir another one of the family and peter the star man . Well this is a classic tale in many ways that we will all have seen in some way or another . It follows a family leaving the city in this case Ljubljana to the countryside to work on an old house this is told by the point of view of one of the sons.The family short-lived dream of peace and rebuilding this old house is shattered when various family members reappear in the families lives. The uncle Vicko an accountant but also a man who wants a glimpse of fame like growing the biggest cabbage forfilling the Warhol saying of everyone getting there five mins of fame. Then we have aunt Mara and her daughter Elizabeth the one that all the sons seem to wa\nt the older son Peter has returned home to study the night sky making the most of the dark skies the house has given them but also a boy with many sexual cravings . Oh and last but not least the narrator a young son wanting to be a writer this book is part of a trilogy with the other book that Flisar has published by istros, then last is the other Uncle Svejk a war hero by accident that joins the local fire brigade and looks after their old fire engine maybe like his Czech name sake he is is a character that gets in the most scraps and comic asides. for it was like nothing we had ever seen before. Above all, it had no flat surface on which to stand it. From the central mass, which had no discernible shape or function, there protruded without order or symmetry all different kinds of steel, aluminium and even wooden growths. With some imagination it was possible to recognize among them the cubist forms of spades, picks, hoes, perhaps sickles and scythes, perhaps rakes and other tools, but these were just the ends or beginnings of what they were supposed to be. In between, joined with other pieces, it was possible to discern the links of a chain, half a cogwheel, a toilet bowl, the workings of a wall clock, two weights and blackened frying-pan handles. If only these parts or fragments had been bound together with wire or welded together into a whole! Then the entire object could be ascribed to the imagination of a modernist sculptor, and, by relocating it to the domain of art, where everything is possible and everything permitted, it could be deprived of the aggressive concreteness before which we squatted like helpless children. A longer quote gives a sense of place a sort of junk yard of old communist pieces . So we have sons after the cousin , three men all trying to be head of the house in a way. This is a novel that shows the best of family life and the worst but also has some humour and dark parts. I didn’t know til I finished the book Evald had lived in the uk. For me there is almost something of the H E Bates about the story there is that comic look at country life but also with showing the human side of life and love one is remind of Mariette and how her power on men is similar to the power on the sons in this family of the cousin elizabeta.Yes had Bates been a Slovenian in post communist slovenia he may have written something like this. 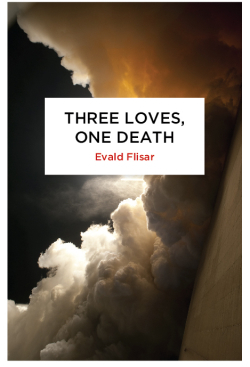 Evald is a writer that you can see has travelled and brought what he has seen and read from around the world and brought it to a personal story of life in his homeland. I will be reading his other istros at some point in the next few weeks. Well I reviewed the first in the series yesterday and today I move on to the second of the three books from Slovenia istros books have published in partnership. This was the one I read first because of one passage on the back of the book describing it as reminiscent of W G Sebald , who else couldn’t pick it up the day it dropped through the door. Dusan is also a poet he has written four novels and collections of poetry and Short stories. This book is one of those books that really blends the line of what literature is and draws you into a personnel journey. Like a mirage at the end of the road, without reflection or gleam,dark and grey, a geometric plane shadowed in pencil on a yellowed sheet of drawing paper – that’s what the sea looked like – shallow, motionless, monastery beer spilled into eternity on to a black stone floor, but mainly trapped in a wide, ever wider, nearly limitless landscape; the nearer I was to the shore, the greater, the more impressive was the bay, in the middle of which stood a black lighthouse on sharp rocks, no bigger than a wizard’s ring, hovering on the motionless surface, while the master’s pale hand, still wearing it proudly, had long ago sunk beneath the sea. Without braking, I went down off the asphalt road on to a wide, neatly mowed grassy area in front of the boathouse and rode up to the sea. I leaned the bicycle against a low breakwater that was protecting the lawn from the high tide and slowly made my way over the grey sand, between the slippery rocks, the black pebbles and the rotting seaweed, into the oneness, the residue and abandonment, the world that remained when that sunken, dead arm last unclenched its hand and released the silt on which I now stepped, I thought as the smell washed over me, as if I was standing in an old, abandoned, invisible maritime cemetery, eerily beautiful none the less, like the romantic landscapes of the Old Masters. The book has 80 pictures that Dusan took on a trip from Ireland where he had been studying , we see him in Galway bay , I imagined the old irish folk song Galway bay which talked about coming into the town of Galway from the sea , a thing which a large number of people didn’t do more head the other way to the new world but this is the old world and a writer is seeing the storms drift in as he travels around Ireland .He does this in the company of a driver his driver is like the writer is also from the Balkans an Albanian Gijini who end up in Ireland and as a driver the two share many a conversation about place and times. there is also a strange sense of a switch of past and present he sees evidence of those that escaped galway back in the dark days as i said in a review last week I am always haunted by the pogues lyrics to the song thousands are sailing “on a coffin ship I came here and I never even got so far I could change my name ” a coffin in a boat is also an image we see in the book . We also see the writer heading back first in Belgium the old cities of the lowland country , I felt these place I visited on a school trip as a kid and drove through one night many year later on my own homeward journey to England from working alongside refugees and migrants in 1992 in Germany from the break down of Yugoslavia. Then back t the heart of the Balkans and Bosnia a sort of rebirth in Sarajevo I remember the watching the film Torjiza about an orchestra escaping Sarajevo as the do a cow gives birth as they sing to calm the cow and this like the return is a rebirth of the writer. THe pictures are real of the journey the words are what Dusan added after a way to show how the mind works and how images can make the mind fluid and words can mean more than pictures which is what Dusan wanted the images are there but maybe like those native americans photographed against there will as they felt it took their soul one wonders what they would make of todays Selfie obsessed culture ? Have the value of the photographic image is less than it use to be ? the title of the book is a homage to the artist Gerhard Richter photos and his photo realism in his paintings this is a book that shows that we still need a narrative to our photos . This is a book about language swimming in it like the cover art about what words mean how we use language oplaces memories can all become a flurry of words more than a single image but a connection like Sebald place leads to connection and like a fine line of a spider’s web from its centre in the Balkans Dusan works spins a thread around the old world meeting those like himself who have travelled from the home a book about migration written before the migrant crisis hit but at its heart a story of the endless sense of migration man has been on the move from those poor Irish souls drive by the poatoe famine to escape from Galway and many other place along that atlantic coast we see in those photos to the migrants that came from the polace that where run by countries to those displaced by war and persecution this is like a sea of people and sometimes we see a tsunami and in other case a simple wave on settling like in Dusan book but another under the book and after the book that wipes out and redraws the lines that follows it like the simple plague to those lost irish souls , even in Belgium he is near the killing fields of Ypres another line changing event . So this book isn’t a novel or memoir . 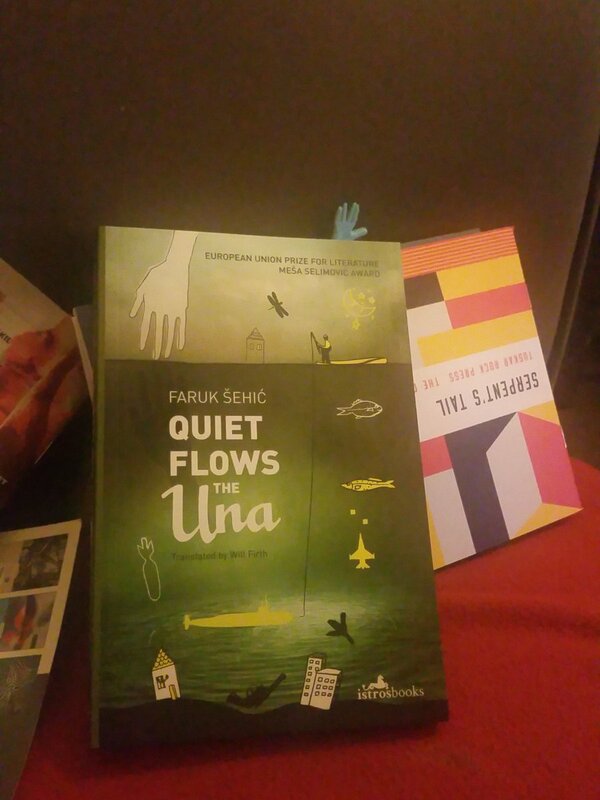 I discussed it with Susan and she told me about Dusan view it is just what is called in Slovenia Good prose , the idea of fiction non fiction is mainly an English language way of dividing books and then we have books like these that sail the line another watery line. 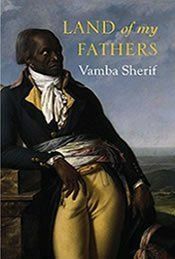 Well I have written more than I have in a long time about a book such is this book it is one of those rare gems that hopefully will get the wider readership it truly deserves . I am as many of you know A huge fan of Istros books , this is the first in a series of books they are doing in a new partnership with Peter Owen , where they will release three books from one country and the first series is books from Slovenia. 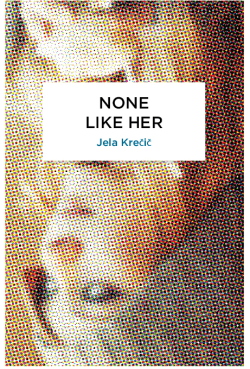 This is the first of the three books in the series is a novel for Jela Krečič , she is known for being the wife of Slavoj Zizek, she is a journalist her most famous piece is an interview with the Wikileaks founder Julian Assange. How ofter do we see this type of girl about whether in Ljubljana or London . 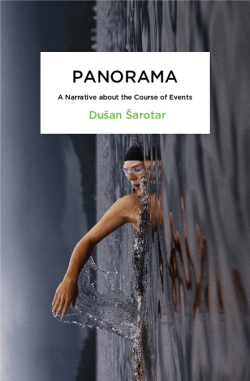 Well this book is an odyssey in a way the title refers to Sara the former partner of Matjaz. He is obsessed about her but to get over her or get her back he has decided to go on a quest to find other woman.What follows is a series of relationships as we see what the women as like in Modern Ljubljana , Each chapter is a different relationship Matjaz is a strong macho man he is a photographer , he is one of this men that uses at times his power over women making them feel less , although at one point this is turned on him when he meets a red head that reminds him of the lead character in the dragon tattoo who doesn’t fall for his patter. For me it is an interesting look at modern balkan relationship. The types you can meet anywhere a TV for example her runs into in a gay club and what one would call a cougar an older woman who husband left her for a younger woman so she now finds younger men. This is a journey of one man to becoming a real man a modern man. checkmate by the very fact of being born. That’s why she always liked names where she could see the beginnings of a ‘mate’: Matej, Matjaž, Matko, Matic, Matija, Matilda, Mateja, Matahari and so on. But Grandma is dead, he said to himself, he was convinced of it – she had a headstone at Žale cemetery, along with dried flowers, burned-out candles and all of that. Then maybe he was just imagining it; maybe the heat was messing with his head. Finally he looked up – and he saw her. Sara. She was coming towards him with a crumpled newspaper and her distinctive smile, which struck him right in the stomach. ‘Your newspaper’s crumpled,’ he said upon greeting her, slightly embarrassed. He hadn’t seen her for more than a year. Late in in the book we meet the woman who started it all Sara . This is a clever juxtapose tale with a female writing a male main character, whom she said in an interview she based on those french film stars of the fifties. . But what really works in those women that matzaj meets they are more than just a type Jela manages to make these types see real in the dialogue between the characters. This is a story of Love lost and a hunting of love obsessive love. This is how one man lost in life and obsession through this group of women he finds himself. I love how easily people fall for this guy he is like the Fonz of ljubjana but also like the Fonz character at his heart is a broken soul yes a strong man behind leather jacket but like Fonz , Matzaj is that tragic comic hero in a way the Fonz is yes girls fall at his feet but at his heart he is sad , but there is also a pinch of classic bad boy as well the way he treats his woman as Jela says like a fifties male with that feeling of position of male over female being held. 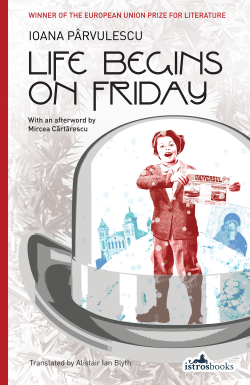 For my second book for Woman in Translation month I move west from Russia to Romania and to a EU prize-winning book Life begins on friday by Ioana Parvulescu. She grew up in Brasov , she came to Bucharest as an 18 year old and in her Eu prize-winning interview unlike most people from the town where she came from she fell in love with the city, fist with its good parts and then with its bad parts. She has written ten book this is her first to be translated into English. May I note this has an after word by Mircea Cartarescu whose book Blinding was hailed as a great book , why this equally challenging book for the reader has fallen on deaf ears ? This is maybe a reason we need woman in translation month. The people of Bucharest were having a good day. It had snowed, there were still twelve days till the end of the year and twelve hours till the end of the day. The whiteness, which stretched from one end of the city to the other, from Cotroceni palace to the obor district, and from the serban voda cemetry to the flower beds on the Chaussee and then onward, into the horizon, was melting in the afternoon sun. The icicles looked as if they were coated in oil and here and there were beginning to drip onto the heads of the passer-by. Bucharest in snow then in melts away under the sun in the day. The book follows thirteen days in 1897 the end of that year . It starts when a man is found injured not really knowing who he is . The Man Dan Kretzu or as he is known in this time Dan Cretu has come back to this time from the present or the future (this is not really clear ) But we see him recovering in a house where the father is looking after him and The Daughter Julia is caught up in the world of the novel Vanity fair. This is a glimpse into a city that at this time was a shining light in Europe and also to an age where the human soul was maybe less weary. But this is seen through modern eyes. Add to this there is also a murder in the background as it happened just by where he was found this 113 day glimpse in the past changes him and also all those he touches. Today I experienced a great joy. A surprise. It was about time, otherwise I would have said that I was beginning to resemble Amelia from vanity fair, and heaven knows nowadays kind, weepy creatures are more unfashionable than Grandmother’s long nails and her bunches of curls hanging next to her ears. Ioanna in the interview after winning the EU prize says the main character in all her books in the city of Bucharest and so it is here in this book. The city is full of life here as she choose this time as she felt it was an Epoch moment in both the city itself which shined bright at this time , but also in the sense of human nature she felt the soul of humans was different then we had a future to look forward to the world now has moved on so much. You can see this is Julia the way she is so drawn into a book and into that world of fiction vanity fair was cutting edge when it came out in how it viewed relationships. and Becky sharp was maybe one of the first woman of her own mind many young woman would read about. This is just one line of the book there is a few other threads but this is one of those books you have to read to fully get. 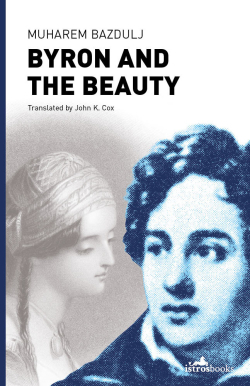 I must note know the shame of brexit I have read so many great Eu lit Prize winning books over the last few years with money from the EU to bring us these books in English , which come UK leaving europe will happen no more a sad loss to all us fans of World lit. Have you a favourite EU Literature prize winning book ?